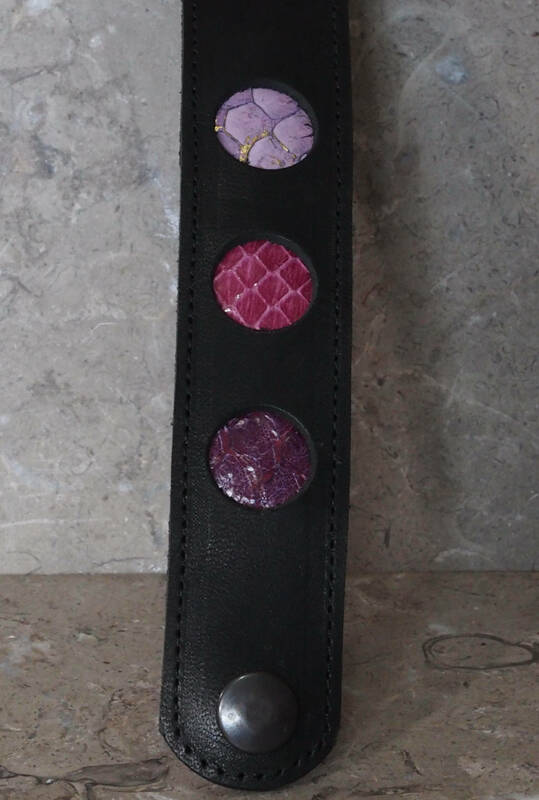 dark purple fish leather; dark pink snake skin; lavender fish leather (tipped with gold wash). 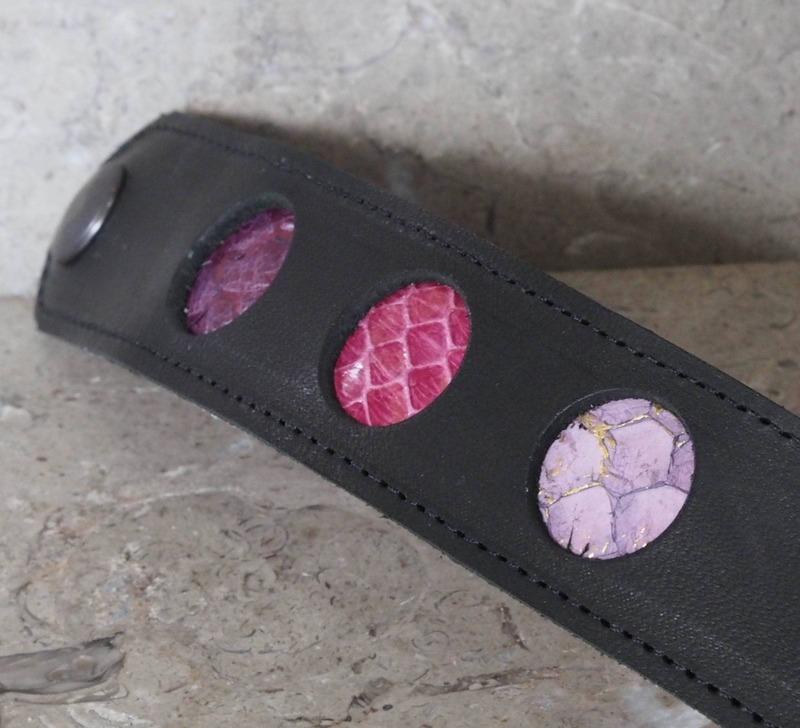 The exotics are sandwiched between the fine black top grain cowhide top and a super soft pink cowhide nubuck leather. 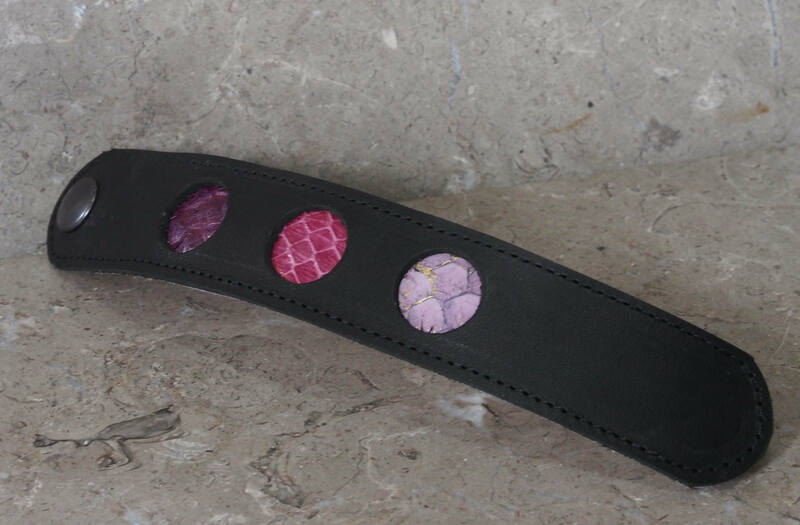 The layers are fully glued together, but black top stitching on either side of the fluorite chip area adds extra security that the two layers cannot be separated. 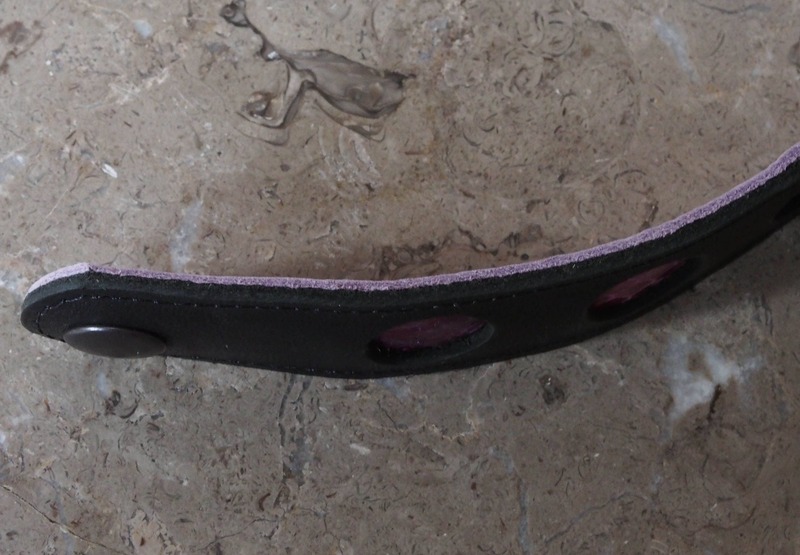 The band is best suited for 5.75" to maximum of 7.25" between snaps, with ease, this means 5.25" to 6.75" wrists. The size option will be listed for the actual wrist size. 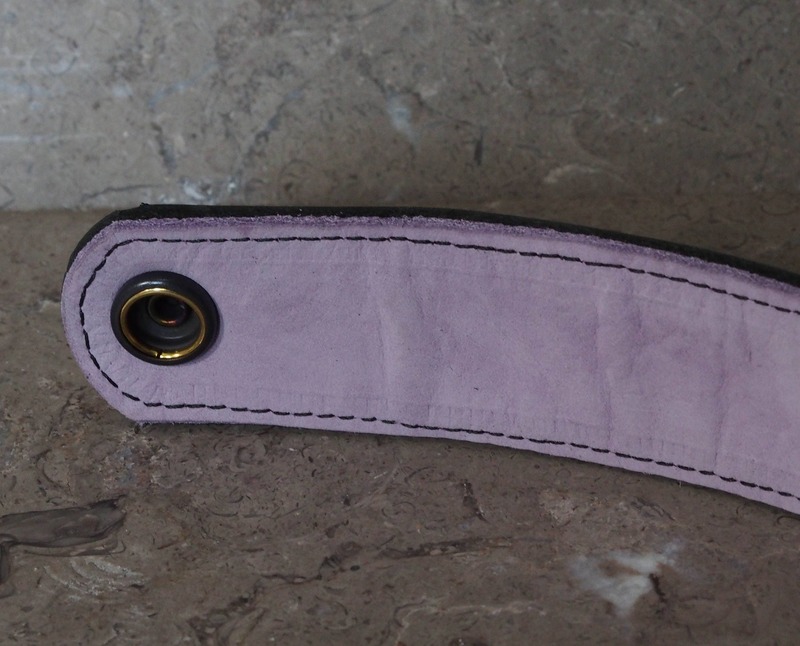 Given this strap is 1.25" wide, I allow for 1/2" ease for a snug fit. 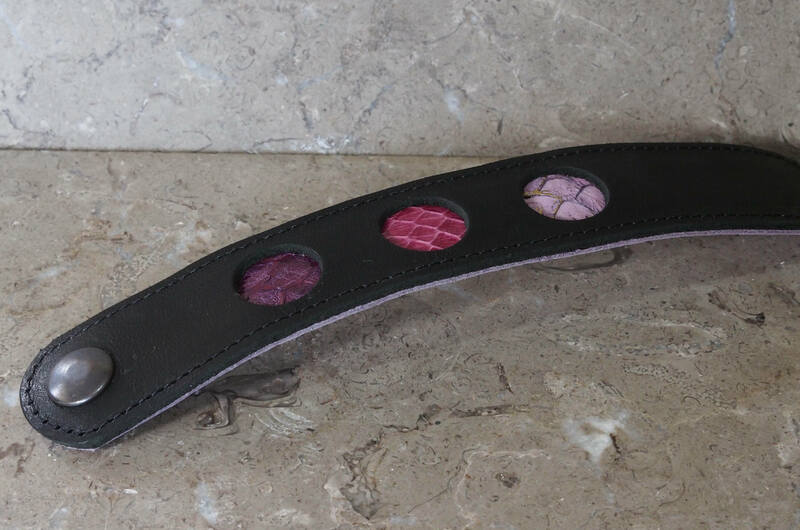 But as this is genuine leather, it will ease with wear, and can even be stretched a bit.